Yesterday the Monday Podcast visited the DBC Taunus grounds in Oberursel to see the model railway that they have built up over the last 30 years. 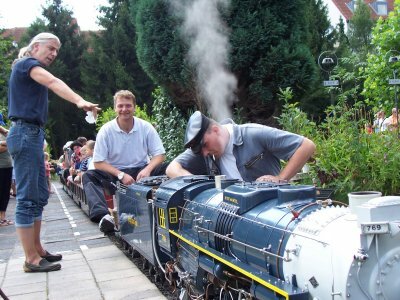 We spoke to the chairman, Matthias Zundel, and took a ride behind one of the steam trains. Homepage of the DBC Taunus e.V.